"Statistically Kinhult fits the bill, ranking eighth for strokes gained putting and tenth for birdie average." Unless you fancy Patton Kizzire to win the 30-man Tour Championship, there's only one main tour event to hunt for winners at 99-1 or better this week. Happily, the Portugal Masters has bags of outsider pedigree. As Steve Rawlings explains in his comprehensive tournament preview, no champion since 2009 begun the week at odds lower than [55.0], while three were within our price range. We've also got several years of course form and reliable angles to exploit. Power off the tee certainly offers an advantage around Vilamoura - a wide-open resort course, which always produces a putting contest. Driving distance, putting and birdie average are all strong stats to follow. Bertasio scores very well in all those categories, ranking second among these for putting average over the past three months, 13th for strokes gained putting this season and seventh for driving distance. He led at halfway and was third through 54 holes here last year before crumbling under pressure to finish 12th. That wasn't particularly out of character. Bertasio has started numerous tournaments strongly during his two years on the European Tour, including opening 66s on two of his last three starts. That style is ideal for our back-to-lay strategy and the Italian's form is late-season is promising, coming off four straight cuts including top-20s in Sweden and Switzerland. These odds appear a classic over-reaction. Kinhult was highly regarded entering his rookie season and hasn't failed to deliver. 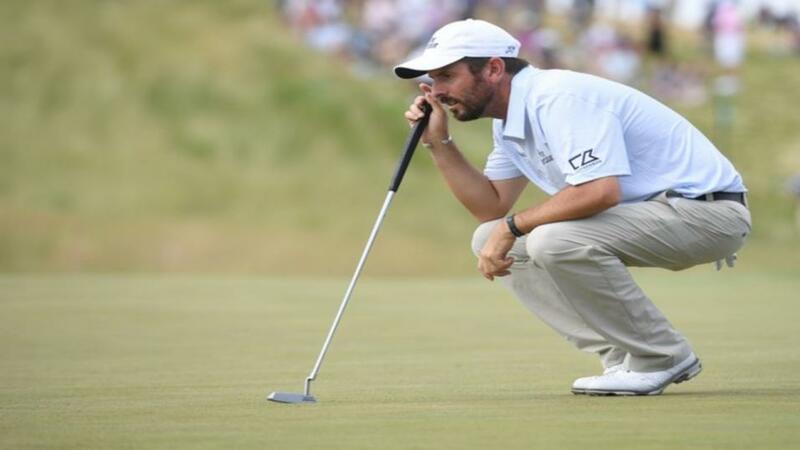 Mid-summer he was trading close to the market leaders for similar events, having impressed in elite company at the Open de France and Wentworth. Steve notes a useful correlation between Vilamoura and Doha GC - the Qatar Masters host venue where Kinhult finished third on debut. Granted the 22 year-old Swede hasn't done much in five starts since France but rookies are rarely consistent. Statistically he fits the bill, ranking eighth for strokes gained putting and tenth for birdie average. Finally a proven multiple winner whose form is better than the odds imply. Aiken was runner-up in the Nordea Masters only last month and sat eighth going into Sunday's final round at the KLM. He's built a solid if unspectacular record at Vilamoura, making all eight cuts here including five top-30 finishes. More interesting, in truth, is his form at correlating courses. The South African has finished top-six in the usually high-class Qatar Masters three times and also has a couple of top-tens in the similar Dubai Desert Classic. Several alternatives came in for consideration. My each-way pick Lucas Herbert is hovering around the [100.0] mark, as is another likeable bomber Haydn Porteous. This is very much the type of test for Joakim Lagergren [130.0], who went well last year. Former runner-up Justin Walters has an impressive round average of 68.25 here, and has made his last eight cuts.